All Nirvana items listed below are authentic and very limited. We do not carry multiple items. All prices and availability are subject to change. All prices include shipping and handling for all USA customers. All other destinations will require actual shipping cost to complete transaction. Have a question? Ask us before purchasing the item. Thank You. 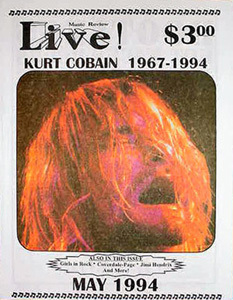 Description: 4x6 full color Nirvana 2005 DVD release flyer. Description: Live! 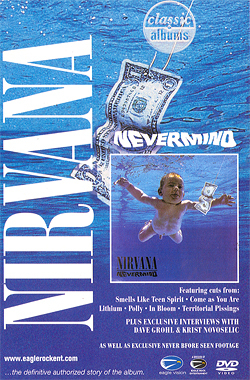 Magazine featuring Nirvana. 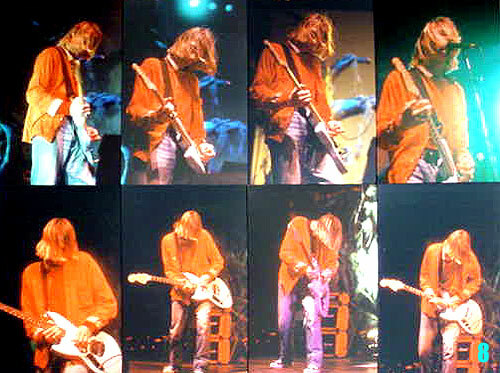 Description: 40 Original Nirvana photos taken on their 1993 In Utero Tour at the Fair Park Coliseum in Dallas, Texas. Complete 4x6 photo set $79.99 Total Cost. Shipping Included. "I got to the show late and even with a photo pass, I was only allowed to shoot four songs. A mix up sith local security, the photographers were kicked out after three songs but I managed to get a hold of band security who escorted me back into the barricade to shoot the forth song. It was quite a show. The last Nirvana show in Texas!"